Caitríona O’Leary talks to Ken Phelan of The Irish Independent about the musical collaboration that is Anakronos as they gear up for a major concert. 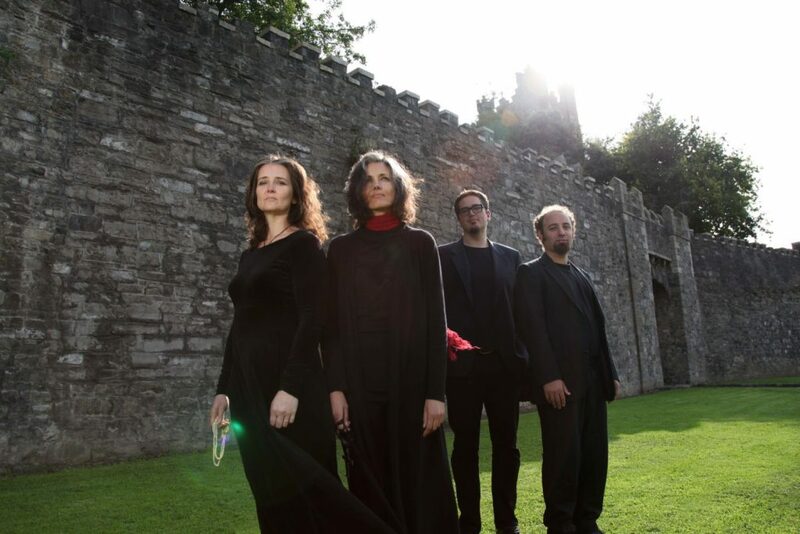 “Now performing with her new ensemble, Anakronos, Malahide vocalist and virtuoso Catríona O’Leary has taken her music in yet another new direction, blending medieval music with jazz, global rhythms and the contemporary to form her own inimitable style. Catríona this month takes newly-formed Anakronos to their debut performance of The Red Book of Ossory at the National Concert Hall, and with it a unique and distinctive sound. Inspiration for The Book of Ossory came from a 14th century medieval manuscript which was compiled in Kilkenny and is housed there in St Canice’s Cathedral. Within the manuscript’s texts are sixty Latin verses by Richard de Ledrede, Bishop of Ossory, which Caitríona has set to music. Following the performance, the group plans to put together their first ever recording before embarking on a tour of Ireland and Europe. Anakronos will make its debut in the world premiere of The Red Book of Ossory on February 20 at the National Concert Hall, Dublin.